In today's VETgirl online veterinary CE blog, we interview Dr. Brooke Fowler, DVM, MS, DACVIM (Oncology) of Compassion First's Aspen Meadow Veterinary Specialists in Longmont, CO. What's new in veterinary oncology? What do I need to know before referring my cancer patient to an oncologist? And what is electrochemotherapy? Today's VETgirl podcast is sponsored thanks to Compassion-First Pet Hospitals. 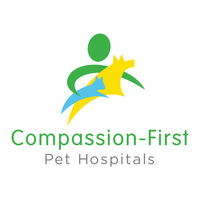 Compassion-First is a family of veterinary hospitals working in partnership to advance medicine, empower growth, and provide the very best treatments available today. For more information, go to www.compassionfirstpets.com.